Proposal: Planning permission is sought for alterations to the front elevation of the existing residence. The proposed works will consist of alterations to an existing bay window to provide glazed double doors. Proposal: RETENTION: Retention permission is sought for alterations to existing vehicular entrance and single storey office extension (16.0 sq.m) both fronting onto Vauxhall Avenue/Morning Star Road and all associated site development works. Proposal: Permission is sought for demolition of existing kitchen extension to rere and construction of new single storey flat roof extension to rere to provide bathroom, kitchen dining and living space and internal alterations to ground floor of existing house. Proposal: The development will consist of: (1) an extension to the rear of the dwelling on the ground floor; (2) an extension to the rear of the dwelling on the first floor and; (3) an attic conversion that includes the construction of a new dormer window to the rear elevation together with all associated site works. Proposal: EXPP: Installation of a floor over the existing swimming pool. Proposal: The application site is bound by Brookfield Road to the south west, 75-79 Old Kilmainham Road to the north and 28 Brookfield Road to the south and boundaries of rear gardens of the residential properties located on Cameron Square to the south east of the application site. The proposed development will consist of the construction of a temporary surface level car park for contractors/ construction staff of the new National Children’s Hospital within the grounds of St. James’ Hospital campus. The car park comprises a total of 75 no. spaces for a temporary period up to a maximum of three years and will be accessed from Brookfield Road. The proposal includes all associated site works. Location Unit 2, 16-17, Cornmarket, and 1, 3 and 5 St.
Proposal: The development will consist of 4 nos. external signage with internal illumination to the individual letters only. 2 nos. (3590 mm x 595 mm & 1810 mm x 595 mm) to the South elevation at Cornmarket and 2 nos. (5560 mm x 680 mm & 1612 mm x 595 mm) along the West elevation at St. Augustine Street. Proposal: The development will consist of the following: 1 To extend the temporary planning permission previously granted under reference 3678/15 to a full planning permission which related to the change of use from industrial/warehouse use to retail warehouse use at ground floor only (300sq.m in total) selling DIY items such as wallpaper, plant and related items. Proposal: Planning Permission at 135 Herberton Road, Rialto, Dublin 8. The development will consist of (1) A double storey extension to side of existing house. (2) Conversion of attic space to a study with a dormer window to rear roof plane and a rooflight to front roof plane. (3) A new driveway with a 3.0m wide vehicular access with piers and gates to existing side boundary wall with access to/from Rialto Drive. Proposal: Planning Permission for the change of use of the existing retail unit to a Crèche/Childcare Facility. New door between the existing crèche in Unit 2 and the proposed change of use building Unit 1b. New signage and entrance doors & windows to front elevation plus associated works at Unit 1b, Oblate View, Tyrconnell Road, Inchicore, Dublin 8. Location 73 & 74, Francis Street, Dublin 8. Proposal: RETENTION: The development proposed consists of retention permission for a change of use as it relates to the ground floors only of no. 73 and no. 74 Francis Street, from retail to cafe use of a total area of 131 sqm, and for branding graphic to front glazing. Proposal: Planning permission for change of use from appliance repair shop to pizza restaurant , consisting of new signage to front, replacement of extension to rear with new single-storey structure containing part kitchen and toilets, and internal changes consisting of seating for 20 people, new kitchen equipment and all associated works to the counter and service. No mechanical ventilation to the street is envisaged, nor will any take-away service be provided. Proposal: The proposed development will consist of (1) change of use of existing storage/warehouse space (1,976sq.m) contained within the rear extension of the existing building at first, second and third floor level to office space; (2) change of use of existing office space (328sq.m) at ground floor level fronting Thomas Street to provide a restaurant/cafe (3) internal alterations at ground, first, second and third floor level comprising the removal of existing non-original wall partitions and the installation of new partitions to provide informal meeting booths, offices, perimeter offices, co-working office spaces, breakout spaces, reception areas and staff facilities including WCs; (4) internal alterations at fourth floor level comprising extension of existing staircase by 5sq.m; (5) external alterations comprising (a) removal and replacement of existing double door on front (southern) elevation with new timber entrance door, (b) replacement of existing steel and timber windows with new double glazed UPVC windows, painting and sealing of existing double door, removal of window and replacement with metal door to provide rear access and removal/replacement of existing windows with exit doors leading onto fire staircase on rear (northern) elevation, and (c) removal of existing glazed porch, painting and sealing of existing door, replacement of existing steel and timber windows with new double glazed UPVC windows on side (eastern) elevation; (6) removal of 5 no. existing rooflights and replacement with 6 no. rooflights; and, (7) all ancillary works necessary to facilitate the development. Proposal: The development was permitted permission as a mixed use development Reg Ref. 2768/09 as extended to 27th August 2019 under Reg. Ref 2768/09/x1 and subsequent permission granted Reg Ref. 3755/15 with an application for signage WEB1368/18 granted 13th September 2018. There is no change in Gross Floor Area of the hotel at 9577sqm. The proposal includes 7 No meeting rooms with breakout space and toilet facilities and a café area with manifestation applied to the full height glazing to street level with signage for the café to the exterior. Proposal: RETENTION & PERMISSION: Retention permission and planning permission for retention permission for detached single storey shed in rear garden. Permission for ground floor single storey partial front extension proposed window in front facade at first floor, 2 storey side extension with pitched roof over, 2 storey rear extension with flat roof over, attic conversion with 2 No. dormer windows in rear slope of roof at attic level, alterations to existing front porch, internal alterations at ground and first floor at 42 Cremona Road, Ballyfermot, Dublin 10. Proposal: Construction of 3 storey 2 bed end of terrace dwelling in side garden and associated works. Proposal: The proposed development consists of the demolition of the Blackhorse Inn public house and the adjoining pair of semi-detached houses at No.s 229 & 231 Tyrconnell Road (total demolition: 976m2). The proposed development consists of the construction of a 3-7 storey building, accommodating 56 no. apartments, comprised of 37 no. 1 bed apartments and 19 no. 2 bedroom apartments, with all apartments to have balconies/ ground floor terraces. The proposed development also provides for a ground floor cafe (106.4m2), with associated outdoor terrace. Vehicular access to the development will be from Tyrconnell Road, with a proposed car lift to the underground car park which accommodates 6 no. car parking spaces & 40 no. bicycle parking spaces. At surface level, there will be 4 no. car spaces & 16 no. bicycle parking spaces. The development also provides for all associated site development works, hard and soft landscaping, boundary treatments, ground floor refuse/storage/plant rooms (43.5m2), all on a site area of 0.16ha. Proposal: Permission is sought for modifications to the existing front boundary wall and railing to provide a new vehicular entrance and driveway; for new entrance gates and railings; for an electric home charging point, and for all associated changes to the public footpath. Proposal: The development will consist of the conversion of existing attic space to non habitable storage space, including new 4.6M long dormer with 2no. new windows to the rear. Proposal: Planning Permission for the change of use from office to one bedroom apartment. (a) Under section 34 of the Act, the applications for permission may be granted permission, subject to or without conditions, or refused. (b) It is the responsibility of any person wishing to use the personal data on planning applications and decisions lists for direct marketing purposes to be satisfied that they may do so legitimately under the requirements of the Data Protection Acts 1988 and 2003 taking account of the preferences outlined by applicants in their applications. Qualified staff members are available by appointment to explain the content of current planning applications. The service is being provided to assist members of the public and residents groups in understanding planning applications currently part of the planning process. The service is not intended to provide general planning advice or to assist in the drafting of submissions in relation to planning objections, observations and appeals. 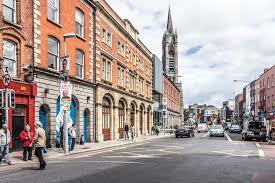 All queries in relation to site specific planning guidance or pre-application discussion should be directed to the area planner, Planning Department, Block 4, Floor 3, Civic Offices, Wood Quay, Dublin 8. Please contact the relevant area office number below to make an appointment and to ensure that the relevant documentation will be made available on the day of your visit.